MARIJANA HARDER PR - REQUIEM FOR MRS J. Director Miroslav Terzić and the main actress Snežana Bogdanović are available for interviews. STITCHES directed by Miroslav Terzić and starring Snežana Bogdanović will celebrate its world premiere on February 11 in the Panorama section at Berlinale. 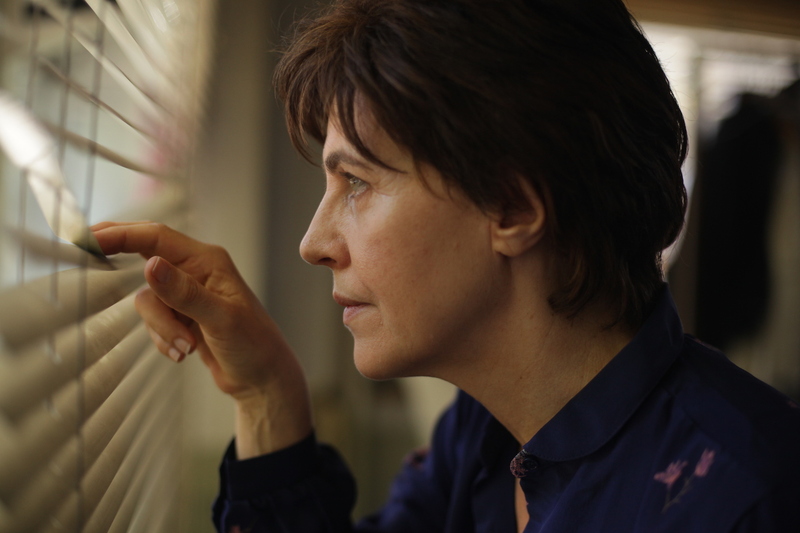 The Serbian- Slovenian-Croatian-Bosnian co-production is inspired by the testimonial of Drinka Radonjić, a seamstress from Belgrade: an emotional story of motherhood, oppression and the search for truth. Based on true events, STITCHES takes place in contemporary Belgrade, 18 years after a young seamstress was coldly informed of her newborn’s sudden death. She still believes the infant was stolen from her. Dismissed by others as paranoid and with a mother’s determination she summons the strength for one last battle against the police, the hospital bureaucracy and even her own family to uncover the truth. Director Miroslav Terzić was born in Belgrade in 1969. He graduated in International Law and attended post graduate studies at the Faculty of Dramatic Arts at the University of Belgrade. His first feature film REDEMPTION STREET (2012) premiered at Sarajevo Film Festival and was awarded with the heart of Sarajevo for Best Actor Uliks Fehmiu as well as Best Debut Film at FilmFestival Cottbus. For the lead role in STITCHES Terzić chose Snežana Bogdanović, one of the most prominent and acclaimed film and theatre actresses from former Yugoslavia. Her breakthrough film role in KUDUZ by Ademir Kenović (THE PERFECT CIRCLE) garnered her a nomination for the European Film Award in 1989. For ORIGINAL FORGERY (1991) and MY BROTHER ALEKSA (1991) she received numerous national film awards. Her work also includes multiple leading roles in Serbian television, amongst them the Serbian adaptation of the HBO show IN TREATMENT. Elma Tataragić, born in 1976, is a scriptwriter, author, professor and the festival competition programmer for the Sarajevo Film Festival since it was founded in 1995. She has produced and co- written the feature film SNOW (2008), directed by Aida Begić, winner of the Grand Prix in Semaine de la Critique at Cannes Film Festival 2008. The film was nominated for the EFA European Discovery Award and has been shown in more than 80 festivals and won over 30 international awards. Tataragić has also co-written WHEN THE DAY HAD NO NAME (2017) by Teona Mitevska which premiered in Panorama Special at Berlinale 2017. STITCHES is produced by West End Productions (Uliks Fehmiu, Milena Trobozić Garfield) and co- produced by Nora Production Group (SI), Spiritus Movens (HR) and SCCA/Pro.Ba (BA). The film has been realized with the support of Film Center Serbia, Slovenian Film Centre, Croatian Audiovisual Centre and the Foundation for Cinematography Sarajevo as well as Eurimages. West End Productions produced WHITE WHITE WORLD (2010) by Oleg Novković which screened in more than 30 international film festivals and won numerous awards, amongst them the Grand Prix at FilmFestival Cottbus and the Golden Leopard for Best Actress at Locarno Film Festival. © 2018 MARIJANA HARDER. ALLE RECHTE VORBEHALTEN./ ALL RIGHTS RESERVED.